Schools all around the globe are turning to Flicx to help them facilitate their boys and girls cricket programmes. 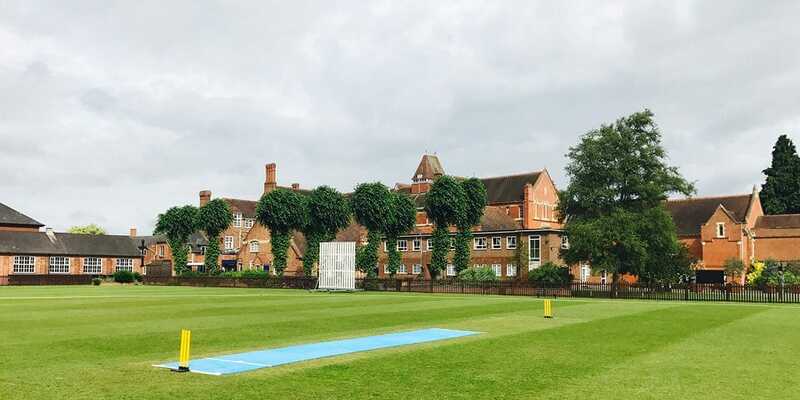 Where schools do not have a natural turf wicket, the portable roll out solution allows schools to convert grass fields, playgrounds or sports halls into cricket venues quickly and cost effectively with demarcated crease lines adding realism and the soft grippy tile enabling high quality matches and training to be hosted. For schools with existing turf solutions and growing participation, the 2G Flicx Pitch can be used to add extra squares or create additional net facilities or host extra teams. Supplied as two half pitch batting ends means you have the flexibility of rolling the mats out on the outfield or over worn or old astro’s to upgrade them for a fraction of the cost. The 2G Flicx Pitch then clips the two ends together in the middle to form your full 2G Flicx Match Pitch. For indoor nets, the 2G Flicx Pitch is far superior solution and very durable versus traditional matting and many schools opt for one of our coaching designs with colour coded zones create clear visual targets to develop batting and bowling techniques. For schools with existing non-turf synthetic pitches perhaps for football or hockey, the 2G Flicx Pitch can be rolled out over the top for more informal cricket games including for white and pink ball formats which are growing in popularity with the firm, consistent bounce enabling big shots to be played safely. Whether you play hard ball or soft ball cricket, the 2G Flicx Pitch is a great option and is very low maintenance and requires little ground preparation when laid on grass. The 2G Flicx Pitch can be purchased in different lengths to suit your various age groups including 15,17 and 19-yard pitches (as per the new ECB guidelines) whilst our multi-age pitch (MAP) is the most popular product as it enables various age groups to be played on the same pitch … you just need to move the stumps plus there is a run off at both ends for bowlers whilst school logos can also be added into the pitch itself which looks excellent and maintains the corporate school brand in an innovative manner. To summarise, why choose the Flicx 2G Pitch? ?